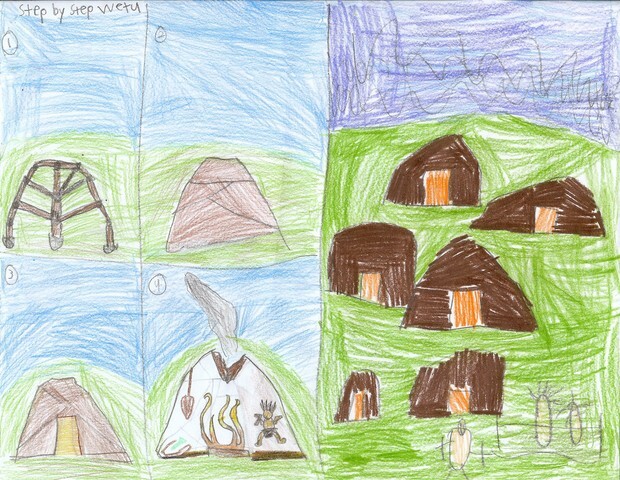 Wampanoag Summer Homes by Evan, Eddie, and Alex R.
We studied the Wampanoag's summer homes. In the spring, the Wampanoags collected saplings and peeled bark for the Wetus. Wetus are made out of bark, saplings, and animal skin. Saplings bend because they are baby trees. The Wampanoags dig holes in the dirt and then put the saplings in the hole. The saplings are bendy so they bend them together. They use the animal skin to keep them together. There is a small hole in the top to let out the smoke from the fire inside. The fires are used to keep the Wampanoags warm and to cook with. These homes are built near the sea. We were studying the Wampanoags and our topic was winter homes. The men and boys used saplings and bark to make a long house. A long house is like a wetu only longer and larger. Beds line the walls around the house. Long houses are mostly made for sleeping. The whole extended family lived in one long house. Sometimes as many as 50 people lived together. Each family in the long house had their own fire. There was a hole in the roof so the smoke could get out. When it rained or snowed they would move a mat or piece of bark across part of the hole. There was always food cooking on the fire. The Wampanoags would spend a lot of their time in the winter telling stories in the long house. All Wampanoag children work together and help out to survive in the wilderness. A Wampanoag girl learned all about fields and gardens. She learned which wild plants could be eaten and how to cook over the fire. She learned how to take care of younger children. She also had to help her mother dig for clams and clay. When she was old enough, she would learn to sew clothes. A Wampanoag boy learned all about the woods, rivers and oceans. He would also learn how to look for animal tracks. 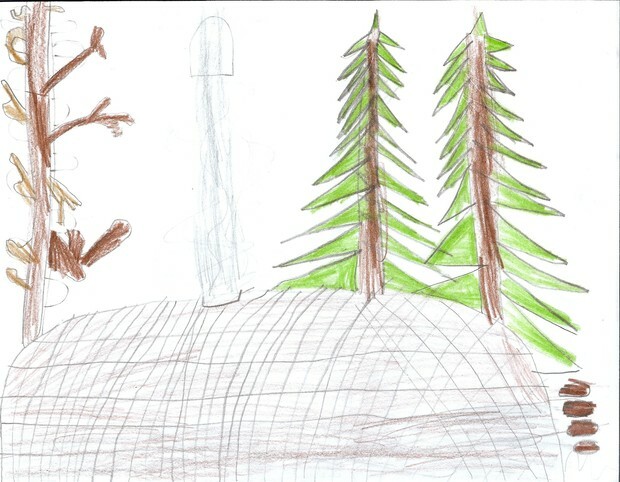 He needed to tell rabbit tracks and turkey tracks apart. He needed to be very quiet in the forest so that he could catch animals. He learned to sharpen arrows and would practice his aim. He would learn to run faster and faster. 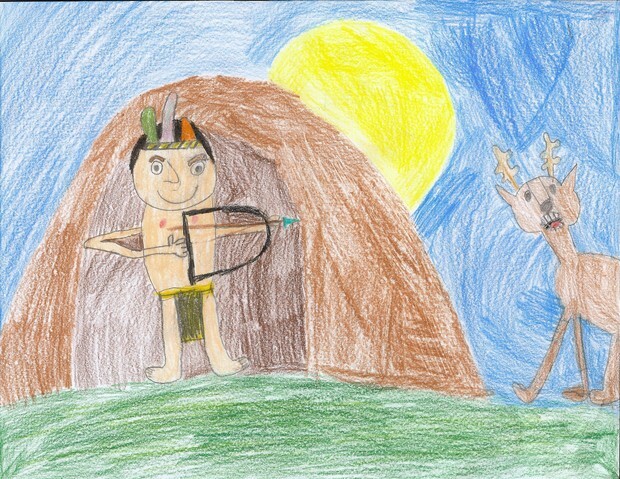 When a Wampanoag boy grew up, his dreams of becoming a leader or a warrior might come true if he had worked to get skillful as a young boy.